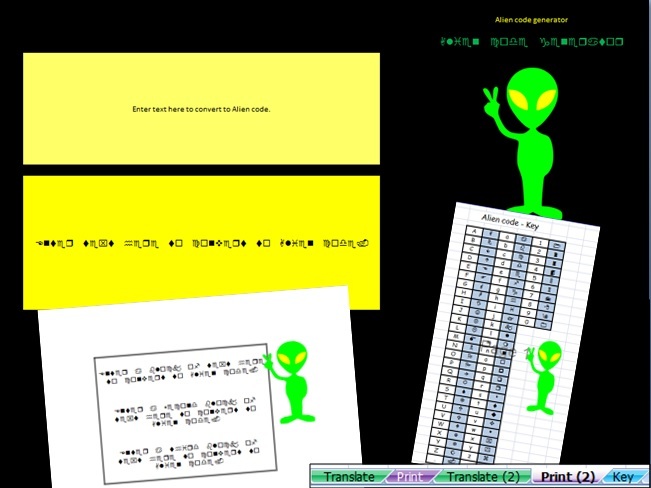 Create messages for your students written in alien code and print them out instantly. Alien message decoding can be a fantastic activity to engage students with a topic, or to introduce a task. This tool will allow you to type in any message in any (roman alphabet) language, and print out the message in alien code, along with a key. I love to leave these messages for students to find and watch the children’s excitement as they try and decode. Have children decode idioms and explain what they mean.